Bell peppers make a flavorful side dish or snack, and roasting them in the oven helps draw out the rich flavors of these colorful vegetables. Peppers are low in calories, and provide a good source of vitamins A and C, according to the University of Illinois Extension. These vitamins are powerful antioxidants that help rid the body of free radicals, contributing to better overall health and a lower risk of many diseases. 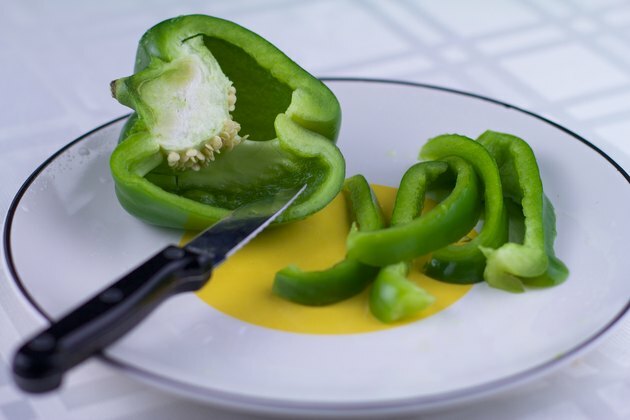 Slice bell peppers in quarters length-wise, removing the inner membranes and seeds. Continue to slice into smaller long pieces. 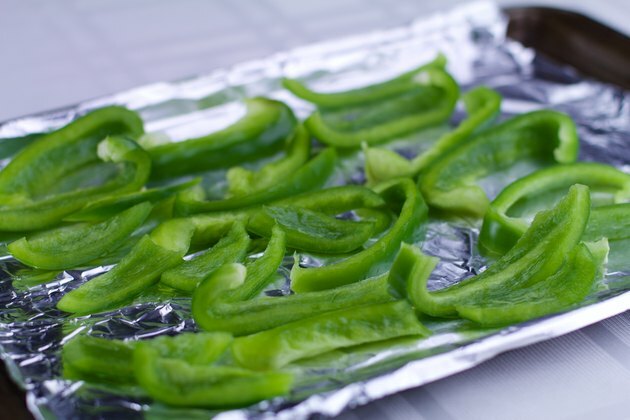 Arrange the sliced peppers on a shallow baking pan. Add as many pepper slices as you wish; there's no need to keep them from touching -- just avoid stacking them on top of each other. 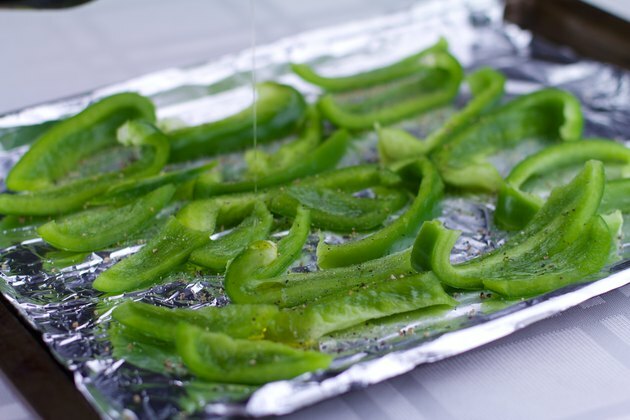 Drizzle olive oil over the sliced peppers and add salt, pepper and herbs to taste. 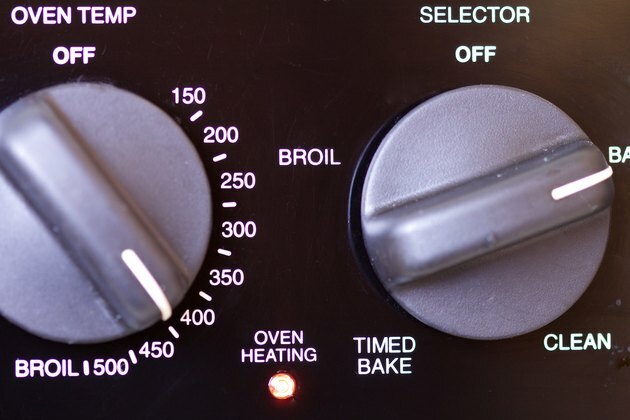 Place the baking sheet on the middle rack of the preheated oven and cook them for about 20 minutes, turning the slices with a spatula at least once about halfway through. 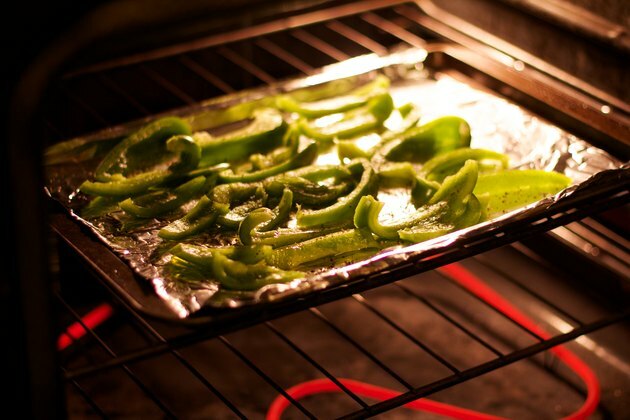 Roasted bell peppers should be tender and brown or charred in spots when they're done. Eat your roasted peppers just as they are or use them in stews, salsas or stir fry recipes for a delicious, savory addition.